“Remembering is a noble and necessary act. If anything can, it is memory that will save humanity.” Elie Wiesel said it well. I know a lot of you visit my blog for fashion, travel and all things fun, but even if what I’m about to show you now don’t fall under these categories, I have this strong urge to share these photos and stories with you because you NEED to know. On our second full day in Germany, my sister and I squeezed another out of town trip in before my official schedule with Goethe Institute and the German Foreign Office begins. It was the total opposite of our trip to Potsdam the previous day, where we ooh-ed and ahh-ed over grand palaces and parks. This trip was nothing of that sort. 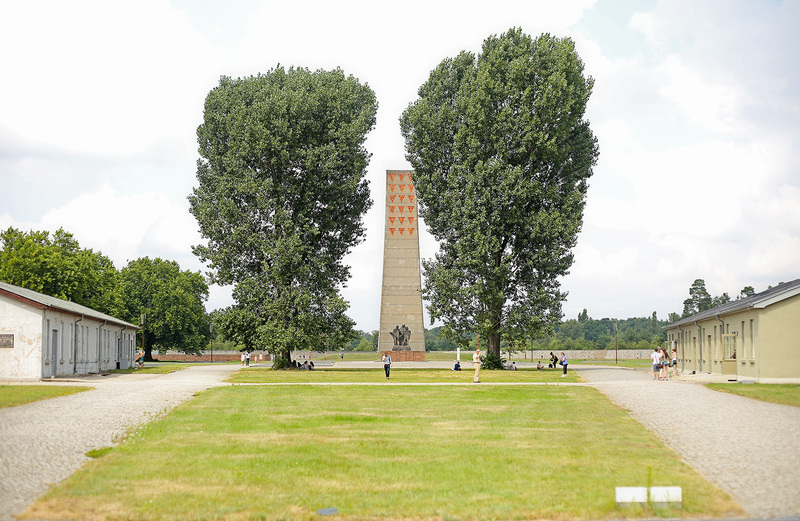 Instead, my sister and I joined Mosaic Tours‘ Sachsenhausen Concentration Camp And Memorial tour. I’m sure a lot of you have heard horror stories about the concentration camps built by the Nazis, the most famous of which is Auschwitz or Dachau. 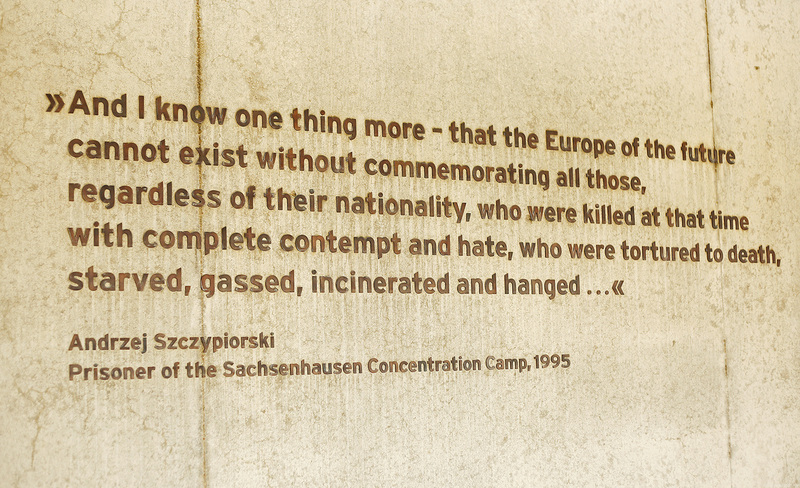 Sachsenhausen may not be as well-known but it’s definitely as relevant. 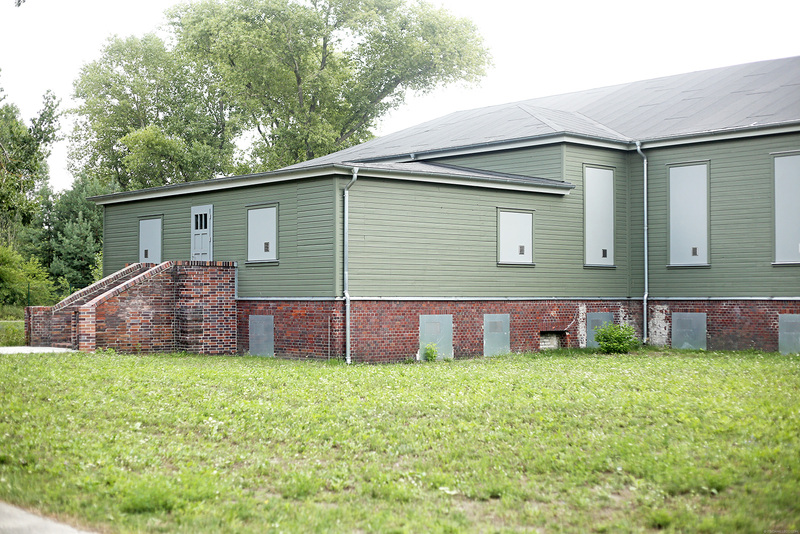 It was built during the summer of 1936 to serve as the model for other concentration camps, both in its design and the treatment of prisoners, and also as training ground for SS officers. More than 200,000 people were imprisoned here until 1945. 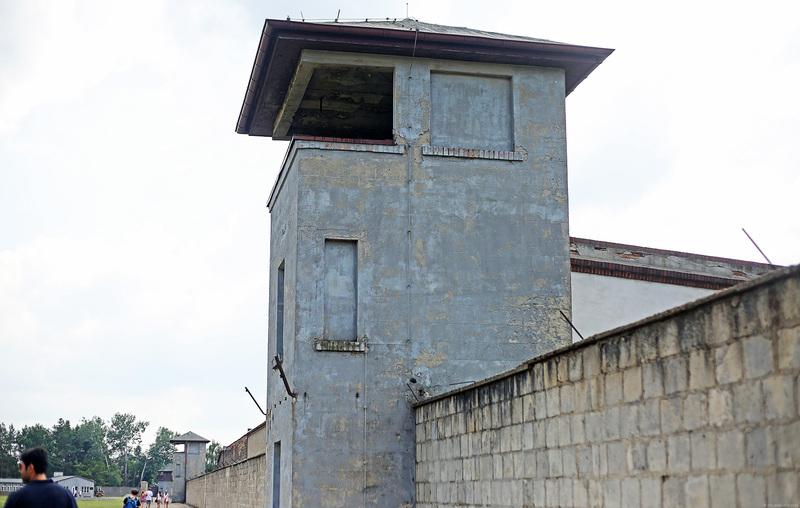 At first, the prisoners were primarily political opponents, but soon after, members belonging to groups defined by National Socialist ideology as racially or biologically inferior (homosexuals, Jews, Jehovah’s Witnesses and more) were also imprisoned here. Sachsenhausen is located at Oranienburg, some 35 kilometers north of Berlin. Since our tour started with a train ride from Alexanderplatz, Berlin to Oranienburg, our first official stop was the Oranienburg station itself. The path we took to walk from the station to the concentration camp was part of the path the prisoners were made to take when they were brought to the camp. Boy was I feeling the heat and exhaustion already. And that’s with a stomach full and no guns pointed at me. Imagine how the prisoners must have felt! Our guide said that during those times, the townspeople were brainwashed into thinking that ALL the prisoners did crimes so they’d even throw rocks and other things at the prisoners while they walked to the camp. The structure you see above is the T-Building, called such because it’s really shaped like a “T” so that when you stand at the center of the entrance, you can see all the offices and hallways. 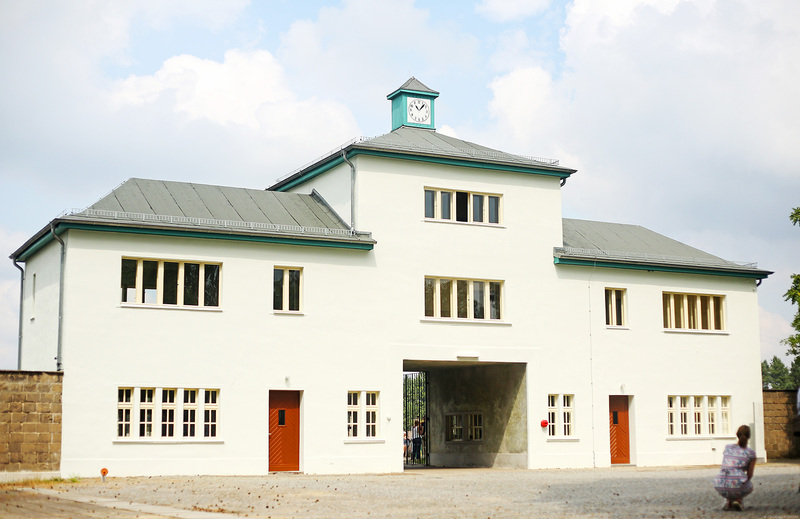 This building, located a few hundred meters away from the memorial site, is the Inspectorate of Concentration Camps. 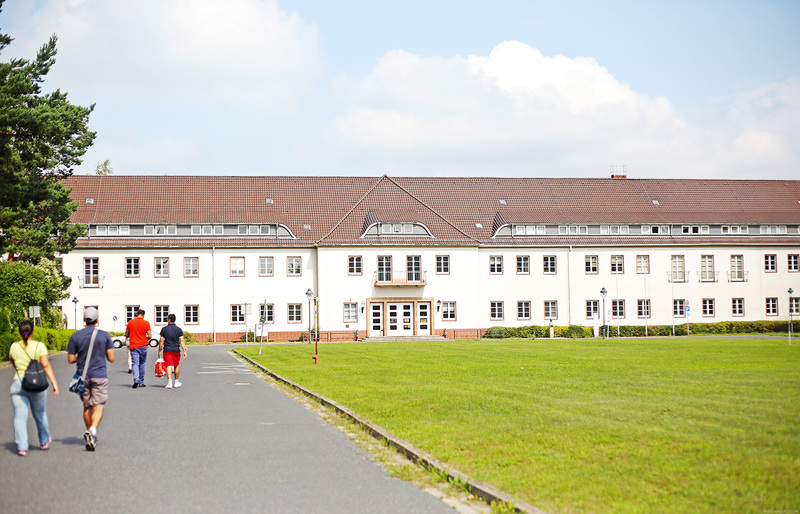 It housed the administrative headquarters of the ENTIRE concentration camp system, not only that of Sachsenhausen’s. 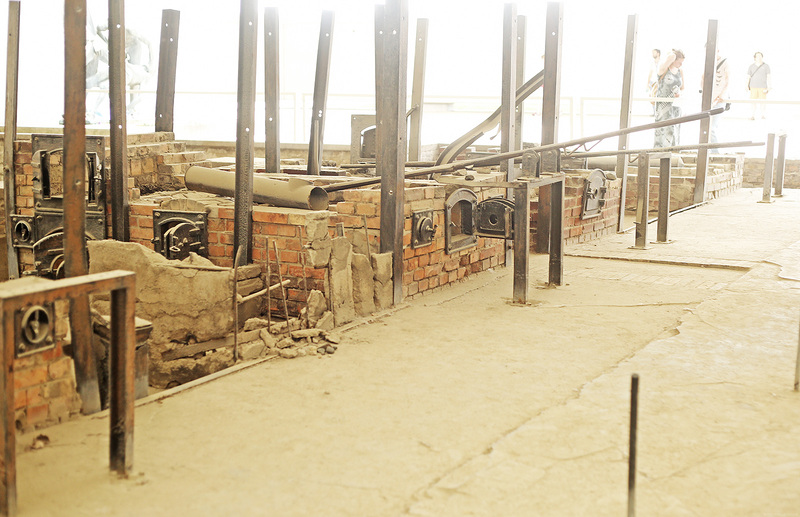 The men who worked here determined conditions of imprisonment, coordinated forced labour and organized mass murder. In short, they were the brains behind everything. All around the memorial site and museum, you’ll see a lot of old photos displayed. This photo shows prisoners in their uniform, during one of the daily roll calls in the camp before they’re sent to do forced labor. Sachsenhausen Concentration Camp was actually intended to be more of a labour camp than an extermination camp, but of course, it still had gas chambers, execution trenches and the the like. This was how big the concentration camp was. It was actually extended/enlarged after a few years because there were so many prisoners brought in. But of course, it still wasn’t big enough to make living conditions humane. Prisoners were taken into the camp along the Camp Street, which separates the Concentration Camp Command Headquarters and the Prisoners Camp from the grounds of the SS Troop Camp. This is the Casino or what the prisoners called the “Green Monster” located at the Command Headquarters. SS officials eat and socialize here. It’s easy to understand why the prisoners hate this place. Here they are, starving away and only able to eat rotten food while SS officers get to eat and enjoy whatever they wanted in this place. Prisoners who get assigned to the Casino serve the SS officers food. Compared to all the other inhumane labour prisoners are made to do, it may seem like the dream job because they even have the chance to sneak some food for themselves. But in reality, it’s a double-edged sword. The key to surviving at the concentration camp is to keep a low profile, one that is hard to do when you’re serving at the Casino. This job makes a prisoner susceptible to getting harassed just because the officer is in the merrymaking mood or wants to show off. Tower A is the main entrance to the Prisoners Camp and is the main watch tower for all the the happenings inside the camp. You see, the camp’s perimeter is that of an equilateral triangle and the tower is at the center of the triangle’s base. In theory, it was strategically placed there so that it dominates the camp and provides the guards with an omnipresent view. You can just imagine the psychological distress this caused on the prisoners. 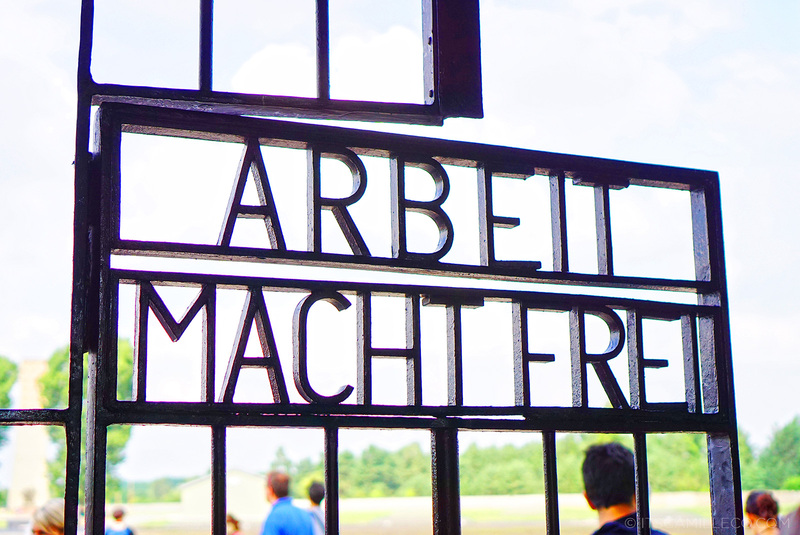 On the gates of Tower A, where all the prisoners passed through, was the phrase “Arbeit Macht Frei”. This means “work makes (you) free”. This phrase is known to have been placed on entrances of a number of Nazi concentration camps. Never have I seen a phrase that has lost more meaning than this. We all know work never set any of the prisoners free. I wondered, if the prisoners outnumbered the officers, why didn’t they just unite and create an uprising? I mean, they were going to die anyway so they might as well go down trying, right? Our guide told me that there was actually a group that tried this. The Nazis locked them in their barracks in poorer than poor conditions, intending for them to die until finally, they were able to find a way to break free. This was when the Nazis realized they should give prisoners even just a tiny glimmer of hope so that they wouldn’t get so desperate, risk everything and create an uprising. The Nazis wanted the prisoners to believe that if they work diligently, they might be set free. This track you see here (the dark part with all the stones and rubble) is the shoe-testing track. As I’ve mentioned, Sachsenhausen was a labour camp so part of the prisoners’ jobs was to create shoes for the SS troops and to test the material of the soles of these shoes by marching around these tracks endlessly. The shoe-testing track had a variety of surfaces and was laid out in 1940. The borders with stones inside them (to the left of the track) mark the locations of the barracks that stood here during those days. 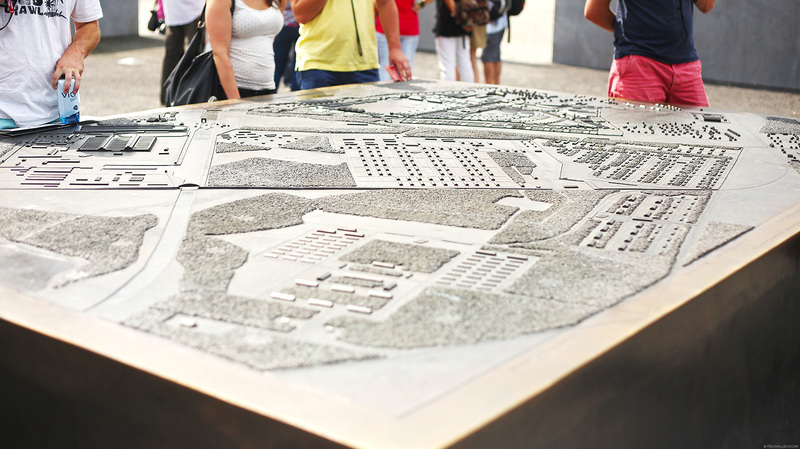 The East German authorities demolished many of the camp’s structures when they started planning the Sachsenhausen National Memorial back in the 1960s. 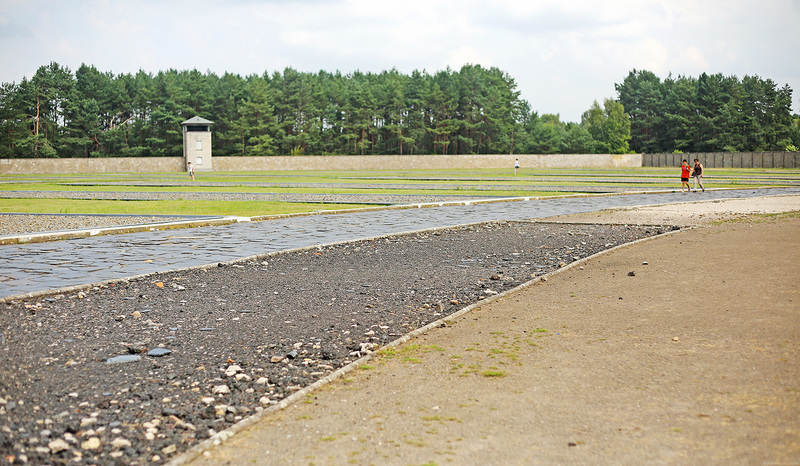 To the right of the track, you can see part of the semi-circular roll-call area where prisoners had to assemble once in the morning and once in the evening, rain or shine. Often times, the prisoners would stand here for hours under extremely hot or cold weather so you can just imagine how many of them have fainted or simply dropped dead here. Every prisoner must be accounted for. If one prisoner was missing, everyone had to stand in the roll-call area until that one person is found. This is why, let’s say a prisoner dies in his sleep, his fellow prisoner would bring him to the roll-call area so that he could be accounted for. Various watchtowers were added to the perimeter of the camp. 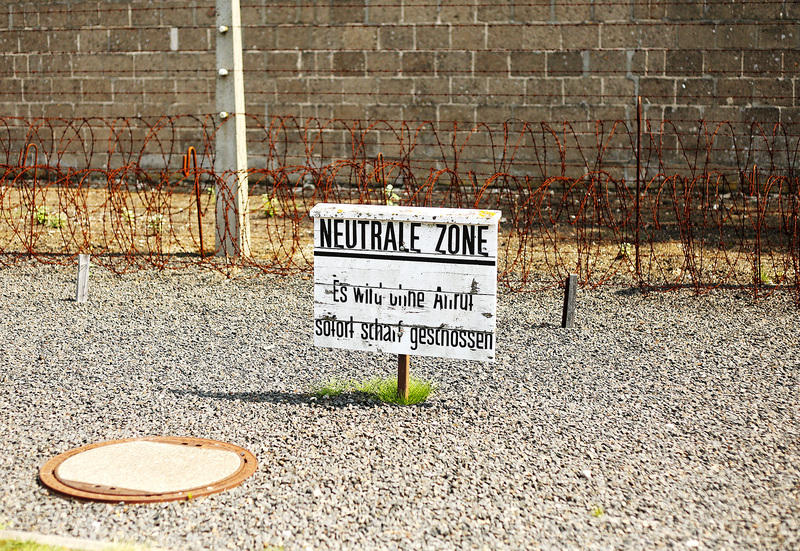 Aside from the watch towers, the camp’s security system consisted of a death strip called the neutral zone where anyone who steps foot here gets shot, an electric fence and a camp wall. 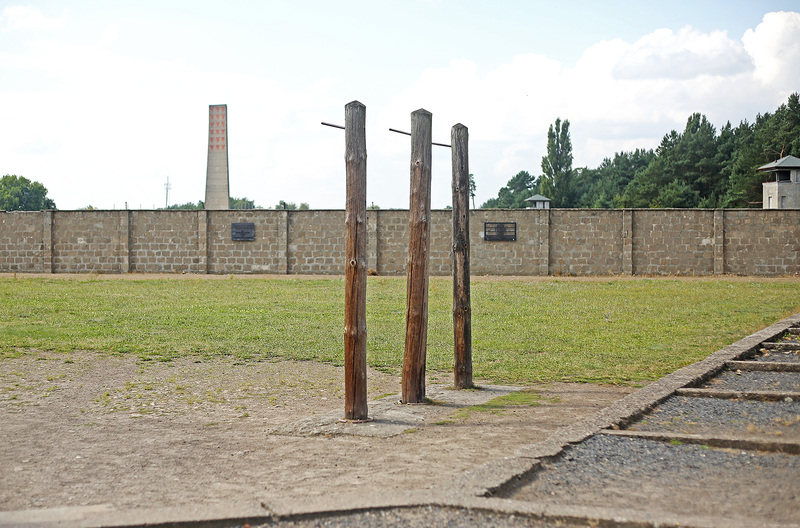 Here stood gallows where prisoners were executed in front of their comrades assembled at the roll-call area. The Nazis did this as a deterrent. During Christmas, the SS would then put a Christmas Tree here. Unbelievable. These barracks used to be the infirmary where prisoners who needed medical care were murdered, experimented on, and forcefully serilized and castrated. 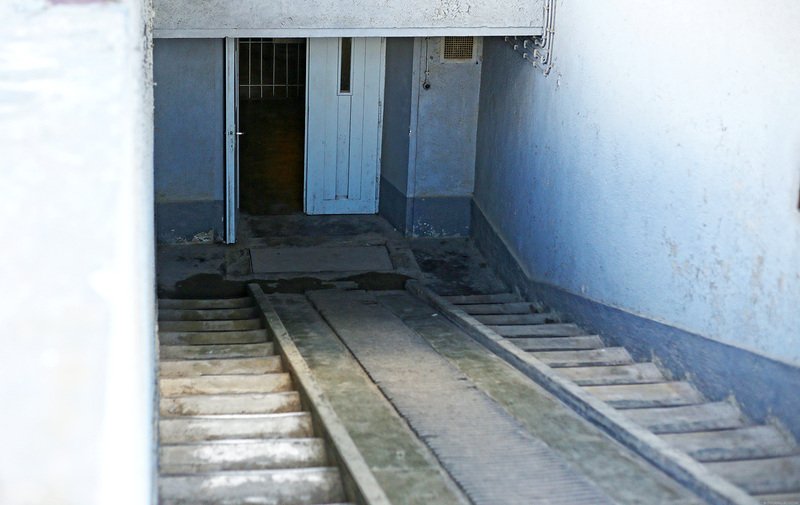 This eerie underground structure was the morgue. The camp had their own morgue and crematorium because the Nazis didn’t want the townspeople to know just how many people have died or were murdered in the camp. This was the execution trench where resistance fighters, conscientious objectors and prisoners sentenced by Nazi Special Courts were executed. The officers would stand above ground and shoot them in the trenches. Some of them were hanged. 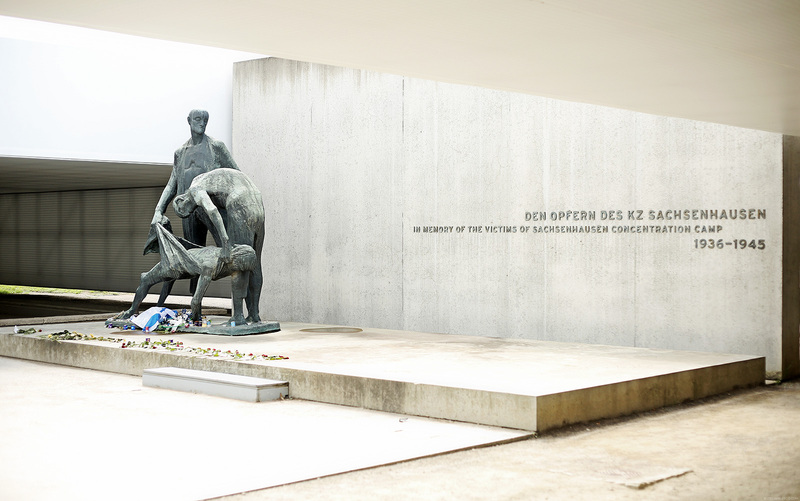 This commemoration is dedicated to the victims of the Sachsenhausen Concentration Camp. It shows two prisoners, both malnourished and tired, carrying their fellow prisoner’s remains. 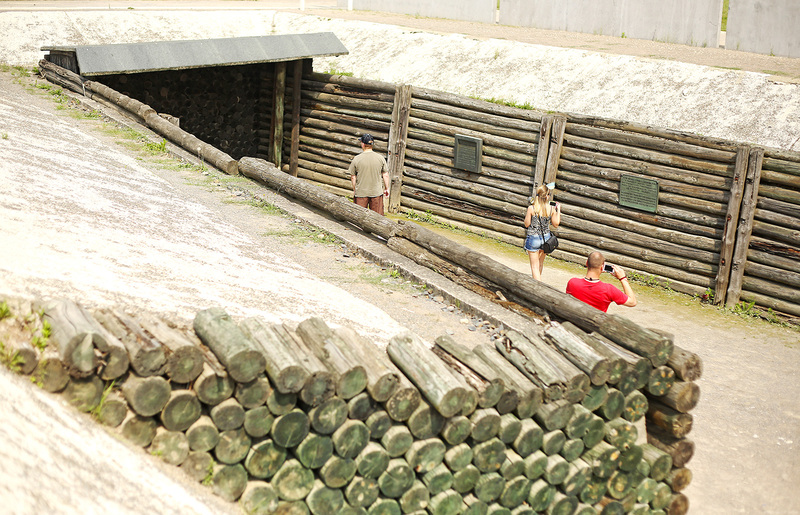 During those times, it was the prisoners who were task to get rid of their comrades’ remains. This here marks the remaining foundations of the crematorium and extermination facilities of the camp. It used to be a large, single-storey building called by the SS Station Z, the last letter of the alphabet, as a cynical reference to the last station in the life on an inmate. Station Z had a gas chamber and a firing squad execution area. The Nazis were always looking for ways to kill efficiently. Translation: mass murder. Their solution was to create gas chambers. Prisoners who go here were made to believe they’ll be taking a shower. Once the water was turned on, gas was released as well. You see that sloped entrance on the upper right part of the photo? That’s the Nazis’ way of removing dead bodies quickly, which was done by the prisoners as well. In the other room was the firing squad execution area. This was created because a lot of SS officers would complain about getting nightmares after killing someone face to face. With this room, the prisoner goes into the execution area thinking he’s just in for a checkup. The officer who’s with him in the room doesn’t do the actual killing. Instead, there’s a tiny hole in one of the walls where the prisoner would have his back against and another officer situated at the adjacent room shoots the prisoner through this tiny hole. Therefore, the officer who does the actual killing does so without ever seeing the prisoner’s face. Another prisoner would then take the body away and clean the room for the next victim. 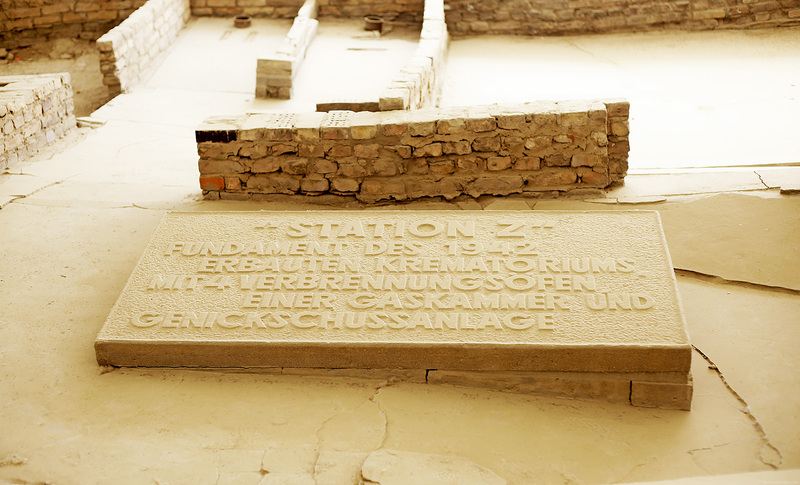 Station Z also had four permanent crematorium ovens where all the victims that were murdered were cremated. Since they had to get rid of so many bodies, often times, they don’t remove the ashes of the victims before putting another dead body in. This is one of the three-wing block of cells used as a prison by the Gestapo and camp authorities. 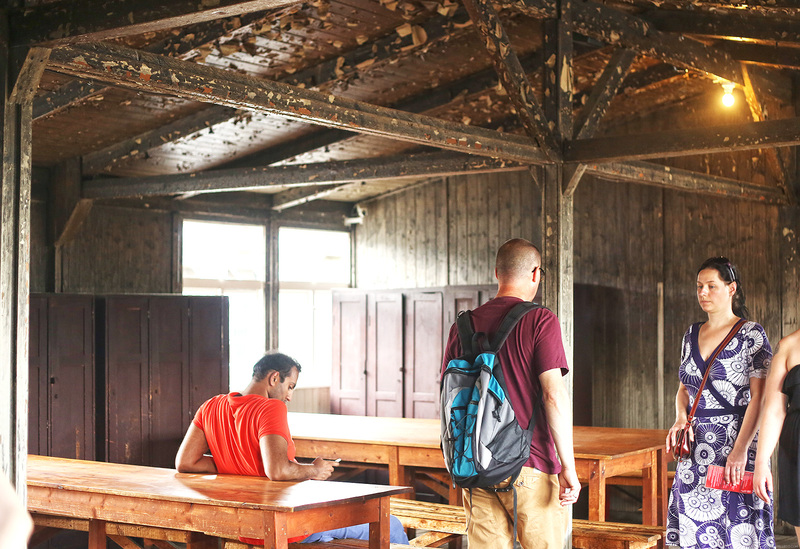 Built by prisoners themselves, this place was veiled in secrecy. Prominent figures arrested by the Gestapo and those punished by the SS for infringement of camp discipline were held here. Labour wasn’t enforced upon them but they were often tortured and tormented. The prominent figures held in this area were tortured on these gallows. Ordinary prisoners don’t get to see them since there’s a wall separating the two areas but they’d hear the screams and cries for help. So in a way, it was psychological torture for the ordinary prisoners. The Jewish prisoners were housed in barracks 38 and 39. 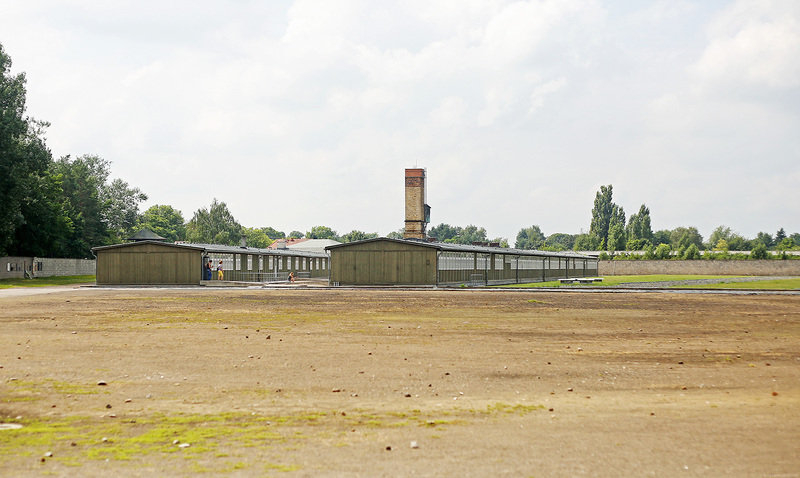 It was here that the SS incarcerated Sachsenhausen’s Jewish prisoners from November 1938 to October 1942, before they were relocated to Auschwitz. Here’s a glimpse of the bunk beds inside the barracks. Barracks 38 and 39 were severely damaged when an anti-Semitic firebomb attack was executed by Neo-Nazis in September 1992, which is why the ceiling and walls look like this. Beneath these gravestones lie ashes of victims who died at Sachsenhausen. 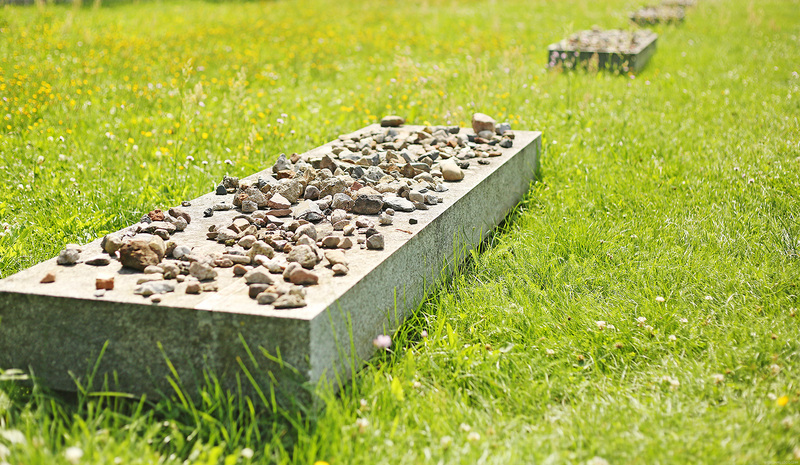 It’s a Jewish tradition to place rocks on gravestones. When the Red Army and Polish troops came to free the prisoners, tens of thousands of them were already evacuated by the SS to go on death marches. 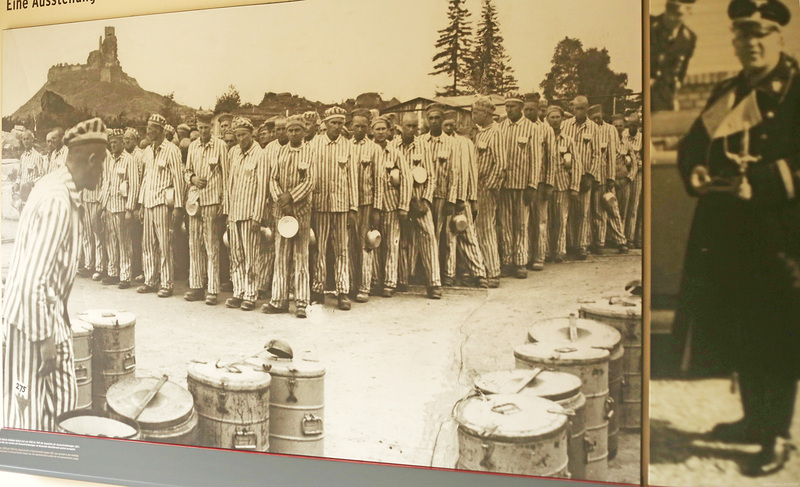 Around 3000 sick prisoners were left behind in the camp. Some of whom still passed away anyway even after being liberated because they were already in really bad condition. I know this post must’ve been hard to read and may have given a lot of you a heavy heart, but I believe it is important to share what I’ve learned. Awareness is key in order for us to move forward and strive for a better future. We may no longer have concentration camps but violations against human rights are still present today. 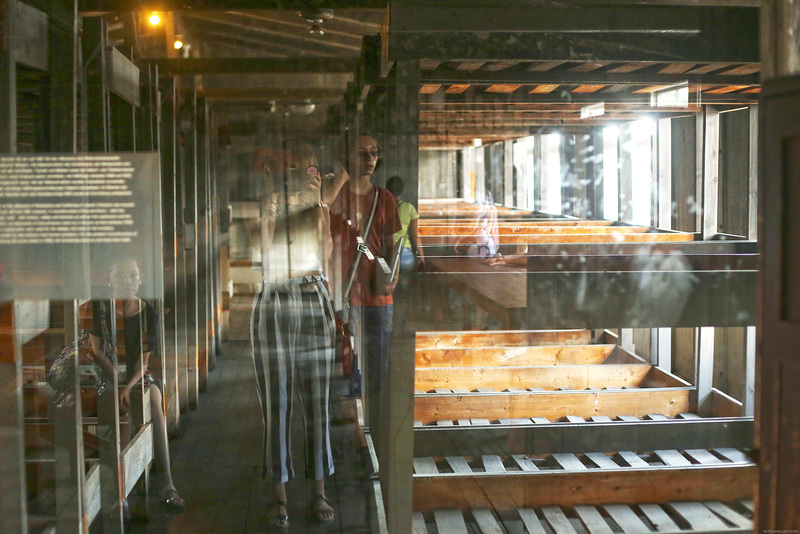 If you’re even in the area and decide to go on a Sachsenhausen tour yourself, I highly suggest joining Mosaic Tours. 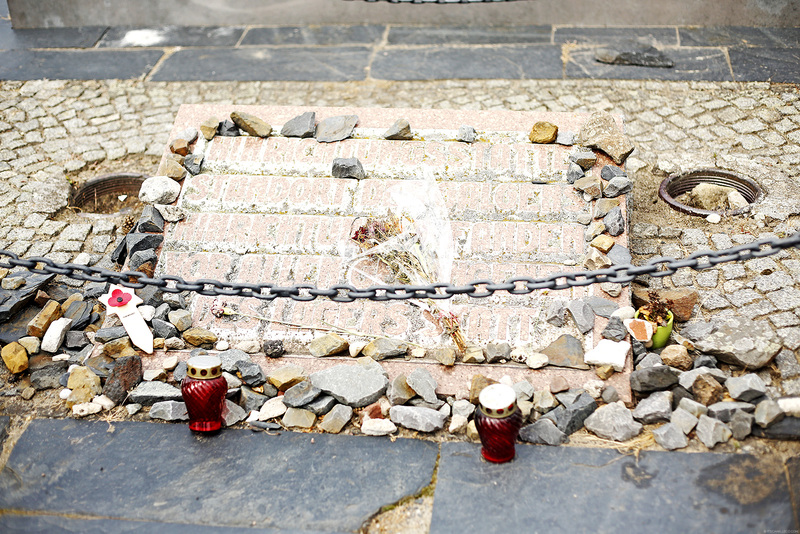 Mosaic Tours is a 100% non-profit registered charity that donates all profits to Amnesty International, Brandenburg Memorials Foundation and Friends of Sachsenhausen Memorial Museum e.V. I thought I had to share this experience. It’s only right. Grabe. Heartless. Brutal. Inhuman. I don’t know the right words to describe. I’ve heard a lot about how cruel the Nazis are, but this details and the photos, iba. Nakakakilabot pa din. Speechless, the place is beautiful but the history of it breaks my heart. I totally agree, awareness is the key. And you blogging about these kinds of story would seriously start the awareness. Keep it up! then you would know where you coming from, then you wouldn’t have to ask me, Who the ‘eck do I think I am.” I believe that learning from the past will make us wiser and better. We gain nothing when it comes to war. I remember reading about this social experiment that a history teacher once did to his students that would somehow make them realize kung bakit naging ganon na ang influence ni Hitler (okay found a YT link…https://www.youtube.com/watch?v=ICng-KRxXJ8). I remember my Austrian friend once told me na when they went to a concentration camp as part of their field trip for school, sabi nya pagpasok pa lang nila umiiyak na sila. If I was given a chance to visit one of these places, iiyak din ako. Just looking at the pictures – ah so heartbreaking! Watching the link now. Thank you for this! I felt the same way when I visited the camp. Learning all these things that had happened, it’s like tribulation or something. Great post, Ms. Camille. 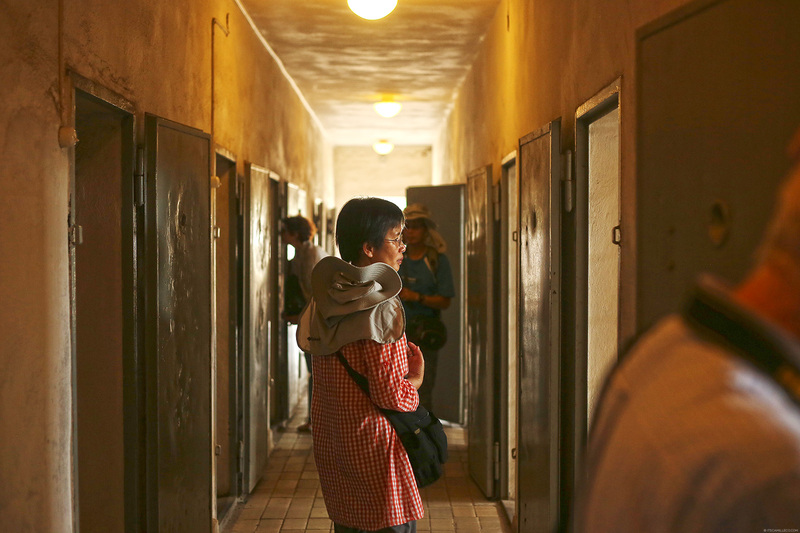 It must be heartbreaking on your part visiting that concentration camp but still you shared it to us. Thank you for increasing our awareness. This post reminds me the movie, Schindler’s List with Steven Spielberg as the director and young Liam Neeson as Oskar Schindler, a story about a man who buys Jewish prisoners out of the concentration camp and make them his factory workers, one of my fave movies. You should watch it, Ms. Camille if you have time. So much tragedy. I actually cried. (Silly me) Things like this make me emotional. :( stories from the concentration camps are truly heart wrenching. I used to get really emotional back in college when we were taught this (I immerse myself in the emotional side of things when I study. :D ) thank you for this! Thanks Jub! I feel you! It just means you’re in touch with your emotions. I’m the same way! This is not just a new learning but a great way of knowing how a country becomes powerful and moves with these kind of incidents to economic and political power and how they make their citizens aware of their very own history. Germany is my favorite country and I hope to visit one day. They’ve come a long way yes. You must visit Germany! Hi Camille. Interesting piece. I had goosebumps, actually in the process of reading your post. I can see it in your face the ‘feeling ‘. Thanks, dear. When you go to a place like this, it would really affect you. Even though I’ve known all this before I’ve read all of it nevertheless and am glad to know that there are (fashion) bloggers out there that do not only care about fashion but also about some more important things as well such as – but not limited to -history. Remembering is of great significance but learning from it ought to be what we should strive for. At any rate: thank you. wow, I have always read of how horrible the Nazi’s treated their prisoners but it must have being eerie to be where it all happened. Human right violation still exist and we all need to keep fighting for equality. Hope you liked the post! Congratulations for a touching, educational and historical post. It is rare to find a fashion blogger with empathy, love and compassion. May you continue to fascinate, entertain and educate us. Indeed, fashion is fun but it’s not everything in life. Mabuhay ka, Camille!! Thank you Anna <3 It’s human nature to empathize, love and care. I really just wanted to share what I learned. I feel it’s important to let more people know about it. I got chills while reading all throughout this post Cams. It may not be one of your usual posts but it is in itself exceptional as well. Education really is key and as tourists I believe that we all should try something unique that most people wouldn’t dare consider. Visit places that are not only eye candy but also those that hold so much history. This is one of those. This reminds me of a book we discussed in high school: The Diary of a Young Girl by Anne Frank. Good job on this one Cams. Your travel diaries keep getting better and better! I think when you visit a place like Germany, with a history like theirs, you MUST visit these places. It’s part of who they are now. And it’s admirable that they don’t hide these things or try to put a veil on them. They acknowledged all the horrible things that happened and strive for a future that won’t ever face these circumstances ever again. Always a fan of war stories, particularly about Nazi era. I like that I read a profound one from yours. “Arbeit Macht Frei”. It gave me a deeper meaning… like how some give false hopes to the humanity… could be some industrial capitalists (not all!) or the government or maybe some false lovers, whichever. We also get false hopes from desperate situations, like in my experience, I was 150% sure I’ll pass this certain exam that would fulfill my dreams, but I then failed. It was depressing, really. I didn’t have plan B. Now I don’t know where to start again… Anyway, we’re getting there anyhow. Don’t lose hope! Learn from it and rock your next exam! Whenever I go to memorials like this, I always imagine what happened to where I am standing and it makes a huge difference. The feeling, as you said, will make you heavy-hearted. I think people should not just walk the paths you know? If we try to put ourselves on the situation, we’ll appreciate things better. Like for me, I study in DLSU, and during the Japanese occupation here in the Philippines many La Sallian brothers were massacred. And there was this hallway that I walk to every day and after watching a documentary about the Japanese reign, I found out that it was in that hallway where dead bodies of brothers were piled and I swear the feeling now whenever I pass there is super different. I think apathy is one of the main problems we have. Just because we are living in good conditions now doesn’t mean that it will be like this forever. As my professor have said, this time we’re living now is just peace time. War could emerge any second and it’s a really scary thought. Thank you for this Ate Camille. I’m such a huge history junkie and I super love this post despite the dark history it has! I agree, war is happening as we speak. It may not be here but it’s happening. And we’ll never know what the future holds for us. This is why it’s important to keep the memory of the past alive. We must learn from it so that it never happens again. Problem is, not everyone is interested. Apathy, as you’ve said, is a major problem. I can never understand why people would choose it though. Never. And I feel the same way as you. This is why I couldn’t bear going inside certain rooms while walking around the camp. Just imagining all these stories in my head…it was terrible. Awww! This is so dad, but really, thanks for sharing. I agree with your last statement, we may not have concentration camps anymore, but violation of human rights is still everywhere! Keep on posting stuff like this! How can people even say it does not exist. That’s not even denial. That’s just plain wrong. My great uncle (or something like that) was a member of the famed “Oslo Gang”, part of the Norwegian Resistence. He was captured by (betrayed to) the Gestapo. After months of sadistic torture, aka “interrogation”, he was sent to one of these camps. He survived for two years and was alive when the camp was liberated by the Russian Army in 1945. I’ve seen several of these camps, and was appalled that people were treating it like a picnic – laughing and joking and misbehaving. And we have groups that claim these places didn’t exist, that they were built after the war like some theme park to legitimize the actions of the Allies. People who do not learn from history are doomed to repeat it, and I’m afraid it’s coming sooner than we think. Makes me physically sick. Ahhh. I’m afraid as well. We sound so negative but it does feel that way. :( Your great uncle must have a lot of stories to tell. He’s one admirable man! My heart was already heavy knowing tomorrow is Monday but yes I agree that violations against human rights are still present especially in our country. I think the only solution to this problem is to unite and be vocal and educated about it. That each of us should not be scared to fight what is right not only for ourselves but to others as well. I believe that our voice is our strong weapon. PS Just realized that this place is totally a haunted place for those people who have active 3rd eye!!! Super scary! huhuhu! Thank you so much for sharing this ate cams! I learned something new again from you :) i really didnt know that such thing happened in europe coz you know they’re a great country, didn’t expect that :( I am so proud of you ate cams, your blog keeps on expanding, first You talk about fashion then travel, food and now educational things :) you really are the best!